We live and work in an increasingly interconnected world. This means that it is more important than ever to understand how culture impacts the work that we do and the way we relate to others. The Culture Map offers a practical model for “decoding how people think, lead, and get things done across cultures”. Whether you interact with different cultures at a local level or are engaged in multinational business, you are bound to glean insight from Meyer’s book. The Culture Map introduces us to a practical framework for comparing different cultures across eight scales, such as decision making, building trust, providing feedback, and communicating. 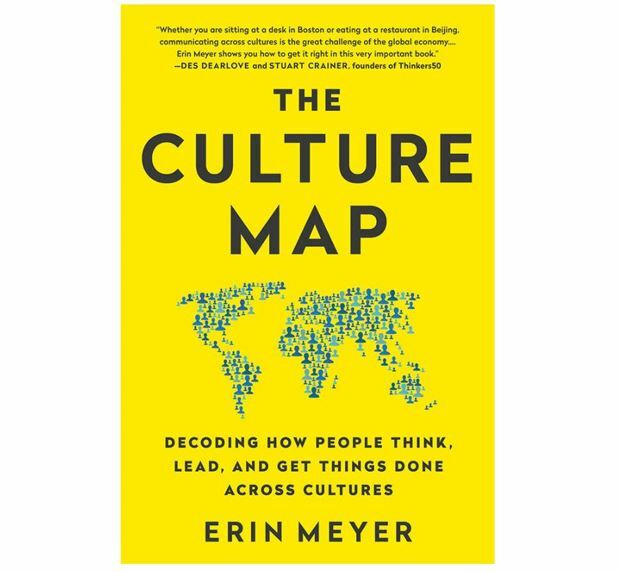 Author Erin Meyer demonstrates how different cultures vary across the eight scales, and how important it is for us to be aware of how these eight cultural dimensions interact in the workplace. 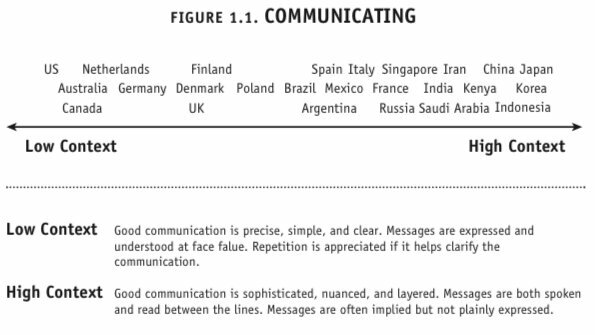 A good example of this is looking at how communication styles vary across cultures (see below). How would you define ‘good communication’? Your response to this question is likely to depend on your culture. From a very early age we are conditioned to communicate in a specific way, when cultural norms for communication are transmitted to us indirectly and subconsciously. What happens when these cultural norms are completely different from our colleague or business contact? Meyer points out that those raised in Anglo-Saxon cultures are trained (not always consciously) to communicate in an explicit, literal, and clear manner. Here, it is the responsibility of the communicator to ensure that their message is understood. She contrasts it with many Asian cultures, where communication is implicit, subtle, and layered and the responsibility for understanding the message falls on both the sender and the recipient. Erin Meyer has drawn from her experience living and working across Africa, Europe, and North America to develop her framework for communicating and conducting business across cultures. A business professor at INSEAD, with extensive experience in intercultural training and coaching, Meyer draws on real life examples to illustrate how her framework plays out in the workplace and beyond. The practical and insightful anecdotes will help readers to understand the cultural dimensions at play and assist them in navigating cultural difference with greater ease. The Culture Map is a great way for individuals to build self-awareness and identify their own working preferences. Gaining greater understanding of their personal style and how they may be perceived in a global business context will enable readers to work more effectively across cultures.